The trio of brothers that make up Butterscotch Shenanigans have more than proven themselves a million times over with the release of Crashlands last month. When this game was first launched for iOS and Android, I didn't bat much of an eye at it. 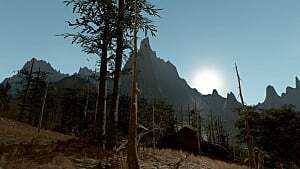 The graphics didn't catch my attention, and I went right on along with my business. Roughly two weeks later, I've realized just how much of a mistake that was. 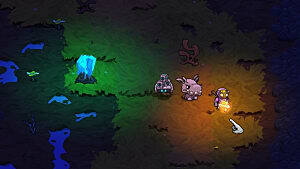 Crashlands has the ability to pull you in right from the start, even if you had your doubts about playing it. This game puts you in the shoes of Flux Dabes, a galactic delivery truck driver whose ship ends up getting totaled by a floating alien head who's a royal pain. The graphics are pleasing to the eye, and even the fugliest of monsters are interesting to look at (after smashing them to bits with a weapon you've fashioned from the bones of their brethren, that is). The fighting system is simple and easy to use, but it does require some skill. This isn't a game where you get tap-happy until you get a cramp in your hand. Each monster you face has its own special way of attacking. For instance, the Wombit attacks by jumping towards you, indicated by a round red sphere on the ground. Sound simple? Nope. There will be times you'll have to play it safe and play ring-around-the-rosie with a ravenous floating octo-alien just so you won't get blown to pieces. So if you're looking for somewhat of a challenge in battle, you're in luck. 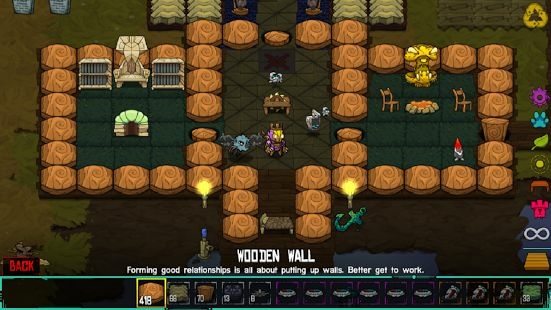 Worried that you'll be forever alone while battling through Crashlands? Think again. 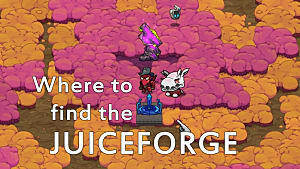 Not only do you have your trusty childhood robot sidekick Juicebox to accompany you, the game also allows you to tame just about any monster you come across (by literally beating an egg out of them). So you've got pets that you can participate in quests for, which will allow you to craft an object that can put some more beef on your alien bud's bones. Oh, you can also milk your pets. Because you know, everybody needs their calcium. 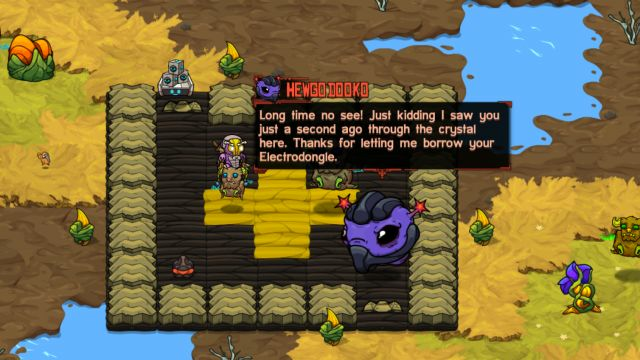 Humor is never far behind in Crashlands, as there's always someone who says something either highly comical or so incredibly pathetic that you have to humor the poor creature. There are some game mechanics in Crashlands that aren't the norm for other games. For instance, worried about not having enough space to feed your inner klepto? Crashlands has got you covered, because there's no limit to how many items you can have, it's literally infinite. You can even recycle your old armor/weapons/etc. and regain some of the parts back so that you may use them for something else. 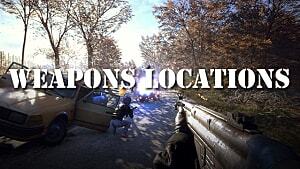 The crafting is one of the main aspects of this game, as you have to utilize it to make weapons, armor and even materials to decorate your house. Did I say house? Yes, you can finally put your dream of being a home designer to work by crafting materials for your home (be it floors, walls, tables, etc. ), painting the floors with a swipe of a finger, or tapping once to add or remove an object. All in all, the crafting in this game is incredibly easy. 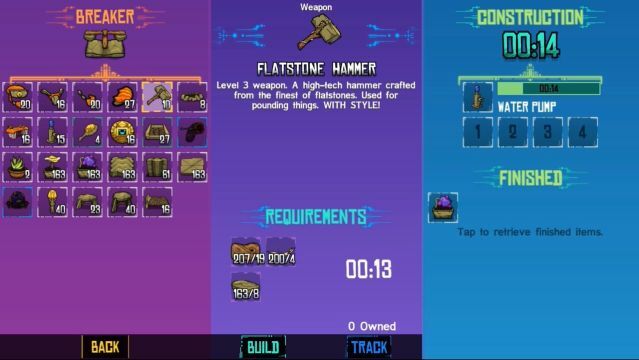 You can craft different items by making new workshops, which are found through receiving schematics from either quests or smashing things to bits while out exploring. 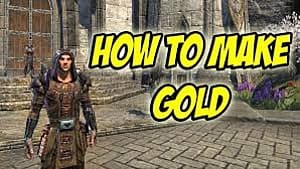 Any weapons or armor that you craft can be actually seen on your character, so if you're not a fan of purple you don't have to deal with it for very long. Weapons and armor are quite interesting in this game, because when you craft them you have no control over what 'rank' the item will be, be it normal, acceptable, excellent, etc. (without the exception of legendary). If you get something you don't like, simply unequip it, salvage the items, and try again. Crafting is so easy and oddly satisfying in this game that you'll wonder why crafting (and hoarding random items from all corners of the planet) hasn't always been like this. 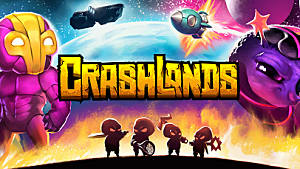 Crashlands is definitely a must-play, and if you haven't at least tried the game out for yourself you are missing out. 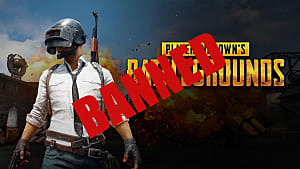 There have been numerous times I thought I would only spend five minutes on this game and ended up playing for hours (my poor, poor phone). 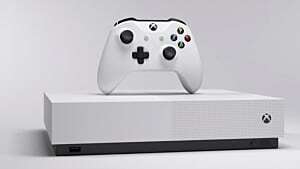 It's worthy of 10 out of 10 stars by me for the breath of fresh air that it gives for mobile gaming. You can find Crashlands on the App Store ($4.99), Google Play ($4.99) and Steam ($14.99). It's a bird, no it's a plane! 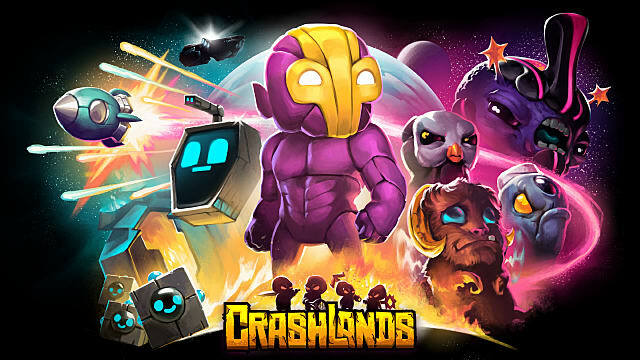 Heck no, it's Crashlands landing right into the palm of your hand! 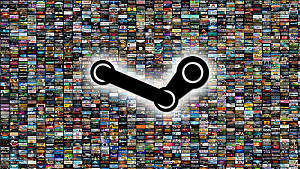 The Steam summer sale is coming, and it's my favorite holiday ever!